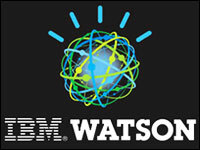 IBM Watson : "The Science behind the ANSWER" , WATSON : One of the Biggest wins and achievement for IBM after IBM's super computer "Deep Blue" won the CHESS match against World Chess Champion, Garry Kasparov. Jeopardy! is an American quiz show featuring trivia in history, literature, the arts, pop culture, science, sports, geography, wordplay, and more. The show has a unique answer-and-question format in which contestants are presented with clues in the form of answers, and must phrase their responses in question form. Jeopardy is not a easy game like the tradional quiz which ask the "What is, Who is, Which is " type os questions which have only one answers. But Jeopardy is the other way round , from a clue/answer on needs to find the best possible question. 74-time Jeopardy! champion Ken Jennings, who has won a total of $3,172,700 on the show, and holds the all-time records for total game show earnings, lost to IBM's Watson - a super super computer. Here's how IBM Watson works to search millions of books in fractions of a second to find the best possible question for the Jeopardy clue.